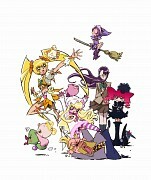 Tagged under Toei Animation, Pretty Cure, Series. Heartcatch Pretty Cure is my currently favorite anime from all (existing) Pretty Cures. Everything in this anime is the best: music, characters, style of drawing, transformations, main theme... You can go on and on with all things. At first, I do not like this anime. I was kinda bored after watching first episodes. I thought: "Again, we have similar series to other Pretty Cure... So schematic." Everything changed with the next episodes. The story turned out to be more complex and severe. I really like it. The music in this anime should have a separate topic. It is sensational. Starting with the music accompanying the transformation, and ending with the opening and ending. The second ending of the anime (Tomorrow Song ~Ashita no Uta~) kept in note of gospel captivated my heart. My favorite song from soundtrack is called 'Warriors of Fate'. 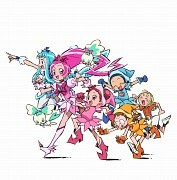 I think that Heartcatch Pretty Cure is a series which must be seen by every fan of the Magical Girl genre. Moreover, even if you tried something from Pretty Cures and you were bored with them... give this one a try. Believe me. For the amazing fight scenes and beautiful animation. For interesting characters and a well-constructed storyline. For awesome music and characters design. 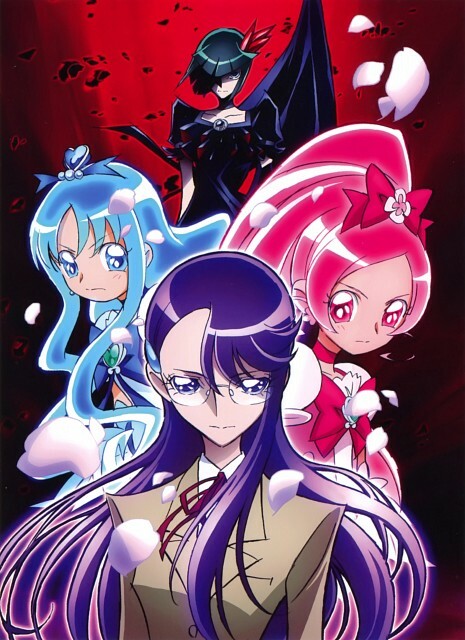 No feedback on HeartCatch Precure!.